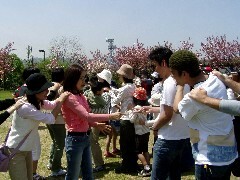 The first event of 2004 was held on Sunday, April 18th in Flower Park. 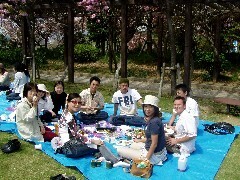 More than 100 people were gathered to have Ohanami lunch and play fun games. 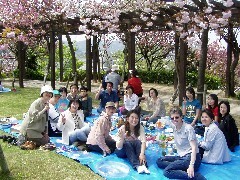 The sky was blue, the flowers were in full bloom, the participants had a relaxing lovely day. 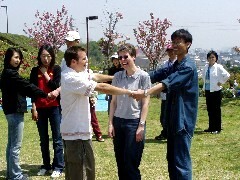 Copyright (C) Imabari City International Exchange Association. All Rights Reserved.